I’m a veterinarian. I also sometimes play the role of counselor, therapist, or all-around whatever you need in the moment. And on an almost daily basis at the vet clinic, I get asked one question: “What would you do if he/she was yours?” Now depending on the situation, this question can take on various connotations. Sometimes it’s an easy question to answer. When a very sick pet comes to me, and the family is already considering euthanasia, I can comfortably guide them to know that if I were in their shoes that saying goodbye to their pet is the right decision. In many of these cases, it’s the fairest decision for everyone involved. Once a family has made this decision, I am simply reaffirming that they are doing the right thing as this can avoid remorse by changing their minds later. Other times, this can be a variably complicated question. I’ve been in the client’s shoes on a few occasions. When my cat Gremlin was diagnosed with a heart murmur at the age of 4, I didn’t panic. Sure, it was weird to find a problem at such a young age; but hey, she was my “special in her own weird way” cat. Now when I break this kind of news to a pet owner, I recommend they dig a little deeper and visit the specialist. At the same time, I can relate and help them learn what to watch for in case they don’t go for some advanced diagnostics or further evaluation. It can be harder when the situation is more serious as it was when Charlie’s spleen ruptured. Deep down I know that many these dogs don’t live very long after the surgery as they are often malignant…and that’s if they even make it out of the hospital. Deep down, I want everyone to try because I understand that bond between the you and your pet. But I realize my job is to guide you to a decision that is realistic and that you may be comfortable with even if the outcome is not desirable. I made the decision to take Charlie to surgery knowing the odds were against us. But I’m not you, the pet owner of your own pet. Not everyone might be able to stomach the decision to consider euthanasia on the table or take the risk of the post-operative care. This is where the question of “what would you do?” gets complicated and where sometimes I find a moral dilemma. 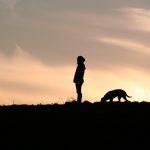 No matter which way your veterinarian answers that question, if things go opposite the way you want or expect, we can feel guilt or worry – and this is why I don’t like to answer this question sometimes. We may feel guilty that we’re not giving you the answer you want to hear but deep down we know it’s the right answer. We worry that things will go awry after giving the answer and the trustful bond we share with you will be broken. So, if you ask us what we would do, be ready to hear the answer. I implore you to know that we’re being honest for you & your pet even though it may not be easy have that question answered.